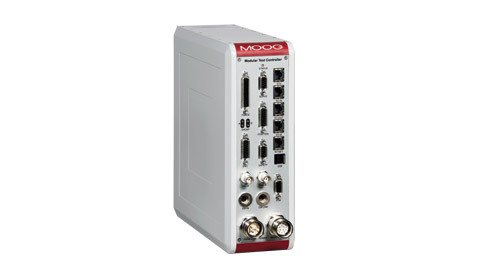 The single-channel Moog Modular Test Controller makes it simple to operate electric and hydraulic test actuators. Its design makes it accessible from the operator's desktop by using the PC application, but also allows for easy integration into your test machine on your network. The Modular Test Controller includes the Moog unique control loops for force, displacement and acceleration control with bumpless transition. Perform your tasks by using the PC application. Basic operating tasks can be performed by using a mobile device.